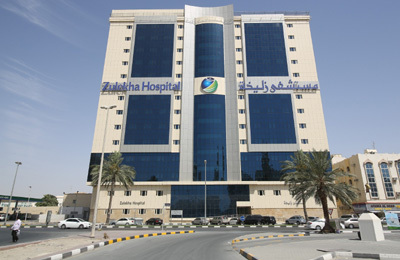 Zulekha Hospital, a leading healthcare group in the UAE, has introduced a new fast-track service that will offer patients speedier appointments and consultations besides free Wi-Fi and parking. Patients at Zulekha Hospital in Dubai and Sharjah now have the opportunity to experience a new fast-track service to make their doctor’s appointments easier and more convenient. The one stop shop fast-track lounge provides appointment slip generation, payments, insurance approvals, doctor’s consultation, sample collection and medication dispatching all in the same dedicated area and patients also have access to free Wi-Fi and refreshments. “The new fast-track service was implemented in response to feedback from our patients and has been very well received so far. We’re giving the community a choice in their treatment services and this new option makes life easier for those with especially busy schedules,” said Zanubia Shams, the CEO of Zulekha Hospital. “We’re always looking to go that extra step to take the best possible care of our patients and we hope we can satisfy all of their needs through the introduction of our new fast-track service,” she stated.